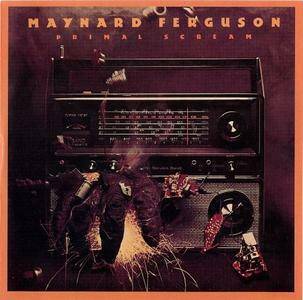 An all-star cast assists Maynard Ferguson in this disco-tinged big-band outing. 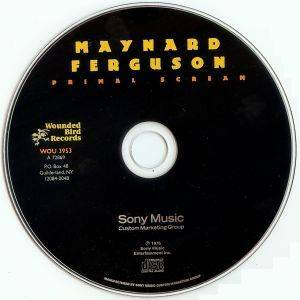 Ferguson's trademark trumpet playing is featured in all its screaming glory, and Mark Colby contributes a couple of high-energy sax solos. 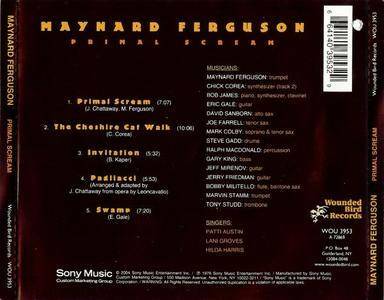 "Primal Scream" and "Invitation" sound as though they were lifted right off the mid-'70s disco dancefloor, complete with T.S.O.P.-type strings and pulsing rhythms. "Pagliacci," too, has the disco beat pounding underneath a Jay Chattaway adaptation of an operatic melody, with Bobby Militello featured on an energetic, overblown flute solo. 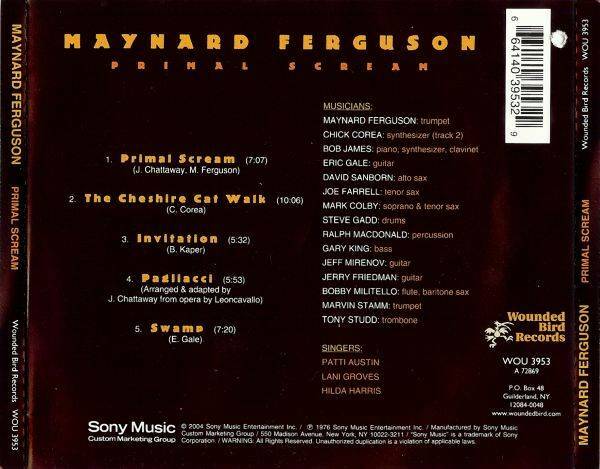 Chick Corea's "The Cheshire Cat Walk" sounds like latter-day Return to Forever, as Corea's synth trades licks with Ferguson's horn over a familiar RTF rhythmic/chordal bassline sequence. The final cut, Eric Gale's "Swamp," stands out because of its reggae beat. This album was an obvious attempt to jump on the disco-funk bandwagon, and serves as a well-played, though dated, document of that era. [CTDB TOCID: Ok_KjberBJqvZ4ybKBhK7lQisiY-] database access error: There is an error in XML document (1, 1).